A bun is the most traditional and timelessly fashionable hair updo for brides. During a wedding’s 7 to 8 hours, you’ll have to endure many conditions, like breeze, sun, humidity, sweating and above all, dozens of hugs by the guests. In all these cases, maintaining the hairstyle might not be every bride’s cup of tea. 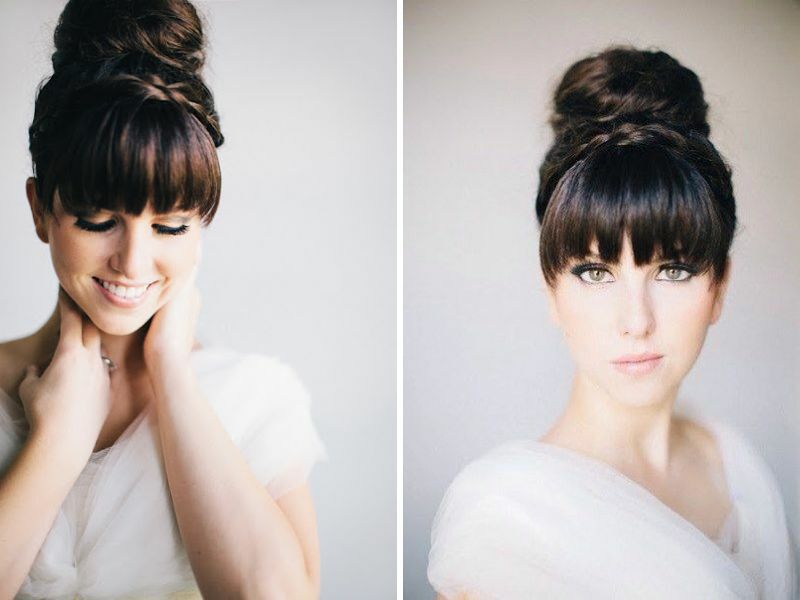 For such brides, we recommend wedding bun hairstyles. A bun is perfect for both long and medium hair, and it is most suitable for naturally straight and healthy hair. Those with shorter hair can use hair extensions if they love the braided look. 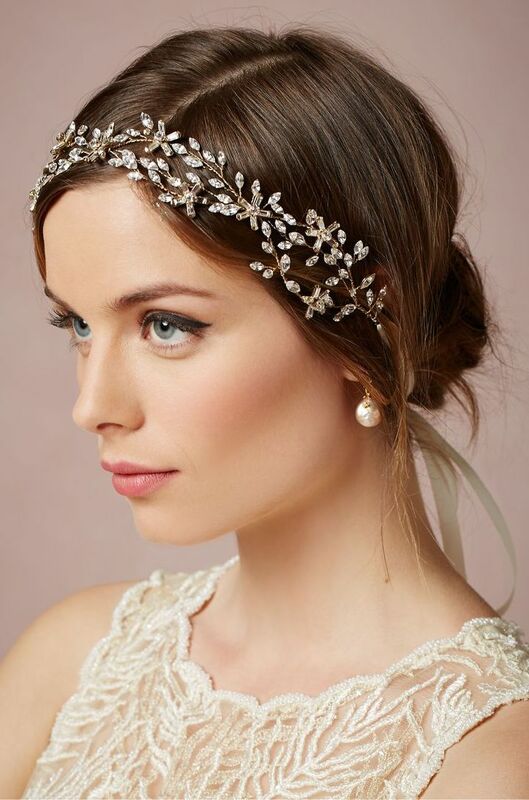 Do not forget to accessorize with some jeweled headpieces or fresh flowers. 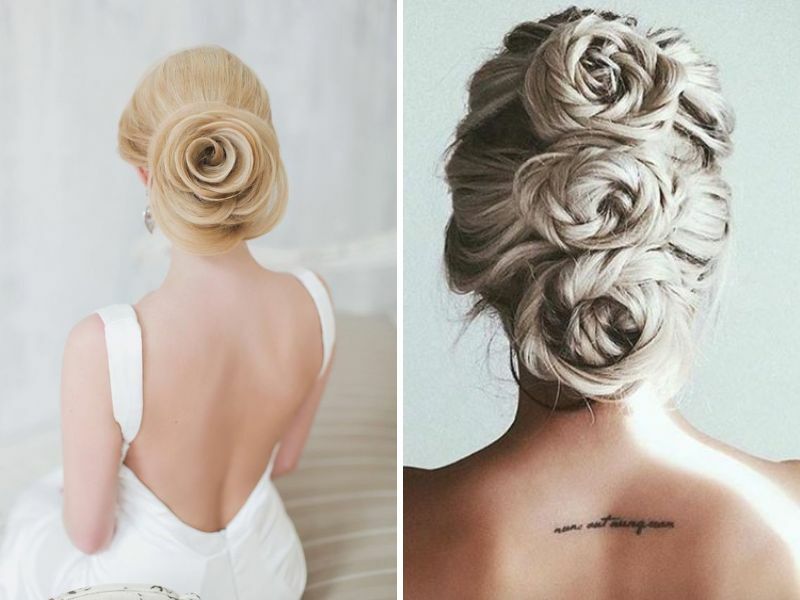 Below you’ll find some of the best bun updos for brides-to-be. 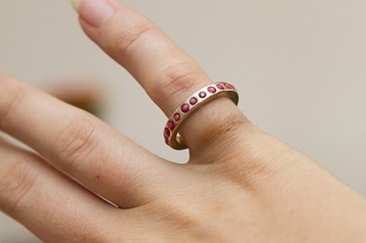 This one is for the fashion-savvy bride with long hair. The hair’s front side part travels back to the messy side updo. 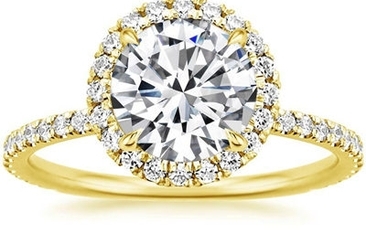 The style adds a retro elegance and sophistication to your look. You won’t need roses for your gorgeous long tresses. Try this unique rose chignon for a traditional yet stylish look. Only an expert hand can handle the complexity. 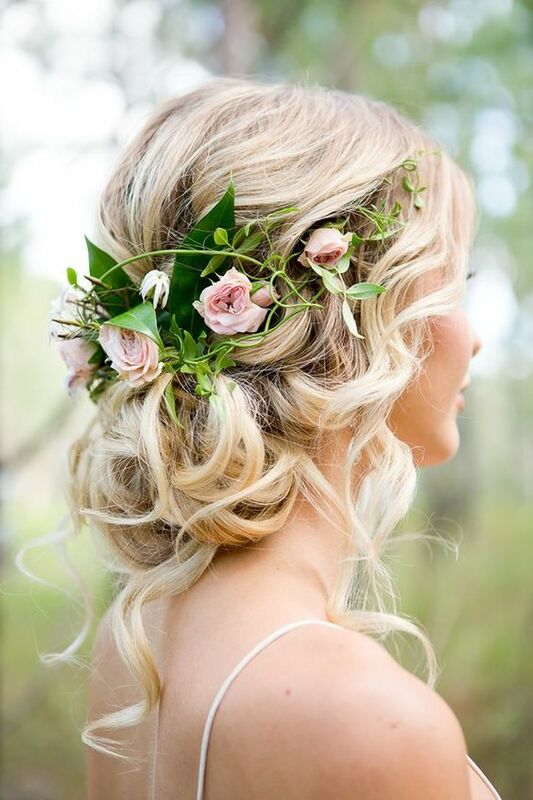 Accent your messy bun with fresh roses to give your look a boho-chic and natural appeal. This low bun with wavy locks is best for destination or garden weddings. 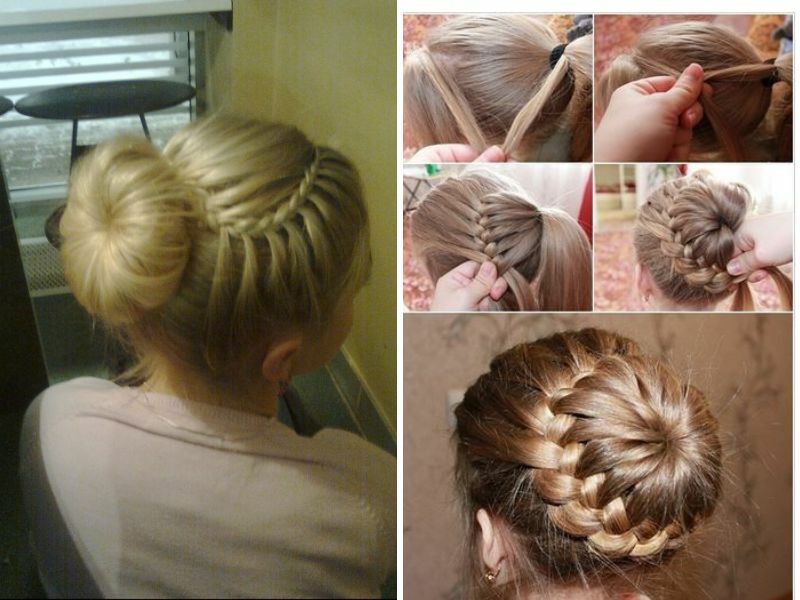 Complicated mixed braid buns are perfect for long hair. To add a touch of glamour, use jeweled hair clips or bands. To have a softer look, try a spiral lock in the front. 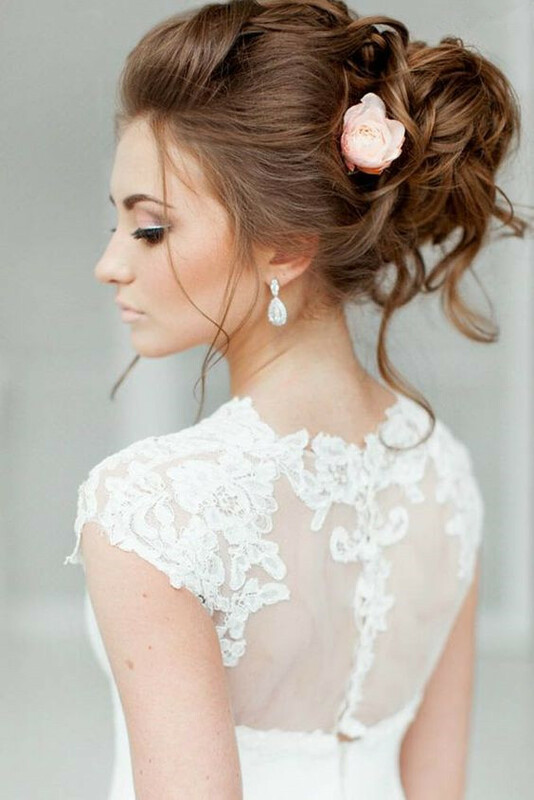 For brides with long and straight hair, this softly made low bun adds both style and innovation. Jazz it up with jeweled hair clips to elevate the simple look. 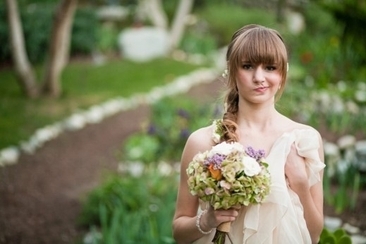 Messy buns add a chic appeal to the bridal look, perfect for bohemian brides. Add a braided crown to this his messy bun for a touch of difference. 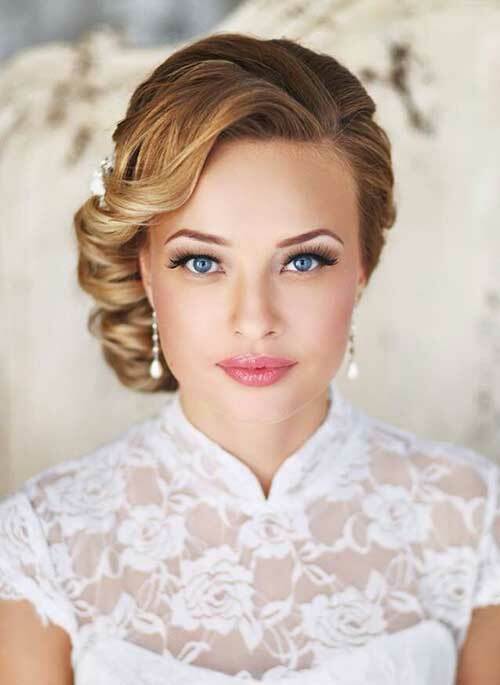 A puff in front adds a slimming effect to the face of a plus-sized bride. And accent the wavy locks of a high low messy bun with a small rose. There are no trendier buns than the ballerina or top knot. It's a big bun resting on the crown of the head, with tight hair. Tied low on the back, this bun is softly pulled back with braids. Accessorize it with a number of small flowers. This updo gives a softer look to the eyes and cheeks. For the fashion-forward brides who adore a Hollywood-inspired hairstyle, try this glamorous high messy bun, beautifully complimented by a jeweled crown. The updo guarantees a diva-like appearance. 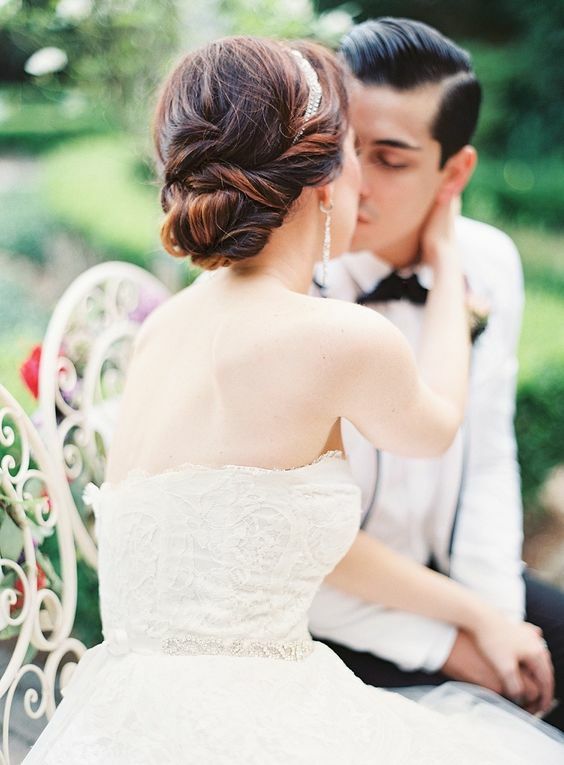 This hair updo is perfect for sassy brides. The straight bangs add a chic appeal while a top knot gives it a traditional aura. The style is well suited for women with straight and long hair. This low bun with side braids coming over it add playfulness to a style perfectly suited for short or medium hair. Tied to the crown of the head, this bun is great for medium and long hair, and theA doughnut ring shapes it up nicely. 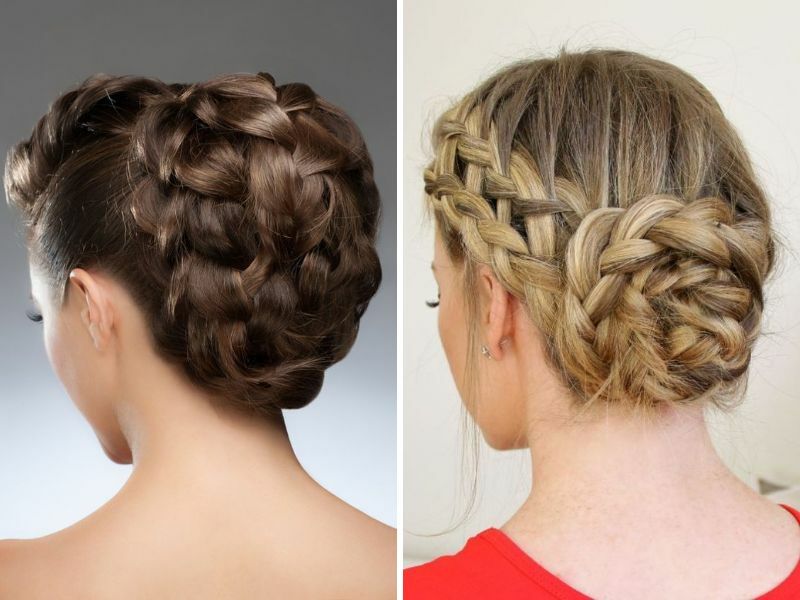 The incorporated chic braids on the side give it an even more appealing look. 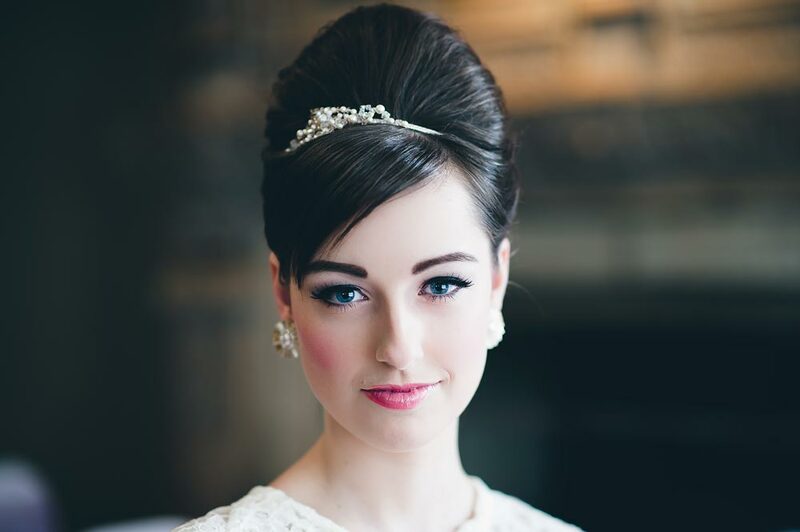 Add antique charisma to your bridal look with a beehive updo. The funky style completes the look perfectly, and the addition of loose bangs or a jeweled band gives it an even softer look. 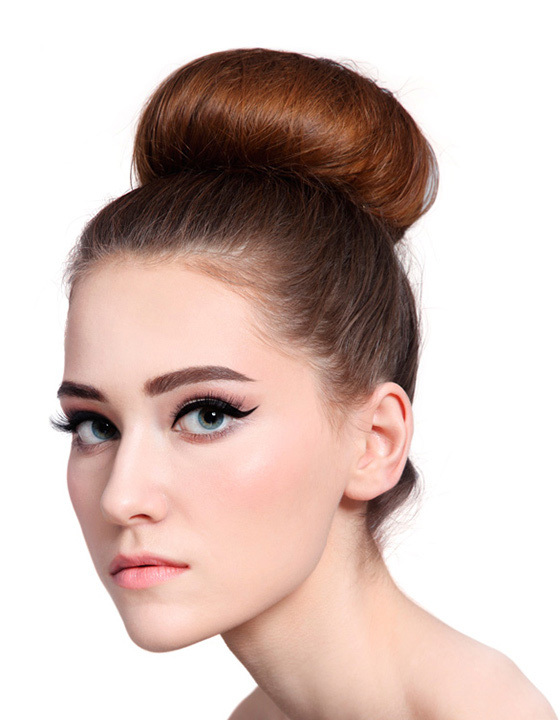 Try this trendy top bun This t with various styles. Side swept bangs add style to the look. If you are a trendy yet casual bride, try it. 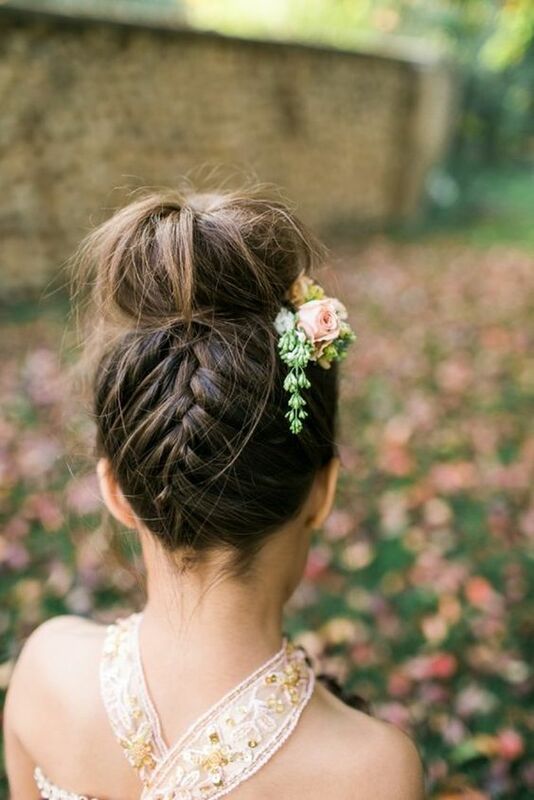 For a bohemian-inspired bride, this top messy bun is wonderfully elevated by a chic French braid on the lower part of the head. 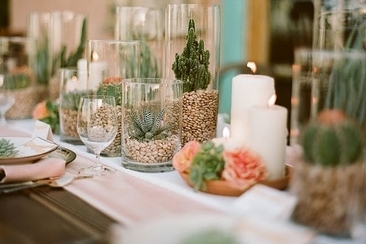 A floral accent compliments an outdoor wedding perfectly. 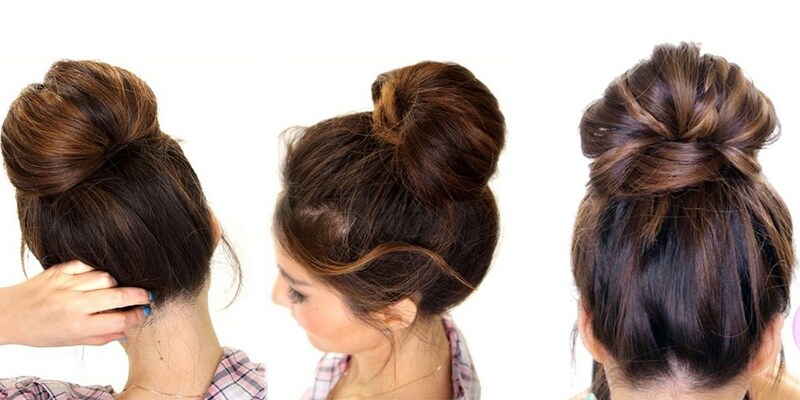 Show off your style with a high messy bun. Under the bun, a dazzling clip gives it a modern appeal. The updo is perfect for both long and medium hair. 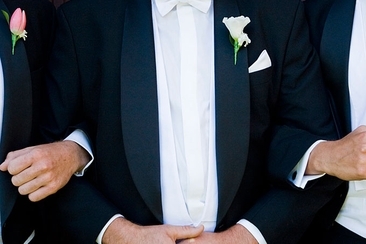 This simple yet elegant low bun on the nape of the neck is well suited for formal weddings. The updo works best with medium to long hair, but brides with shorter hari can try extensions. 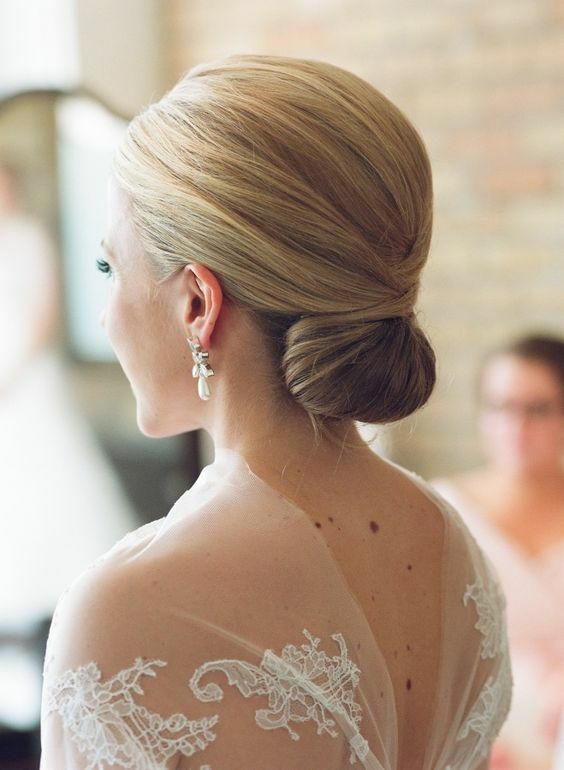 For an elegant bridal look, a bubble bun is perfect for long hair. 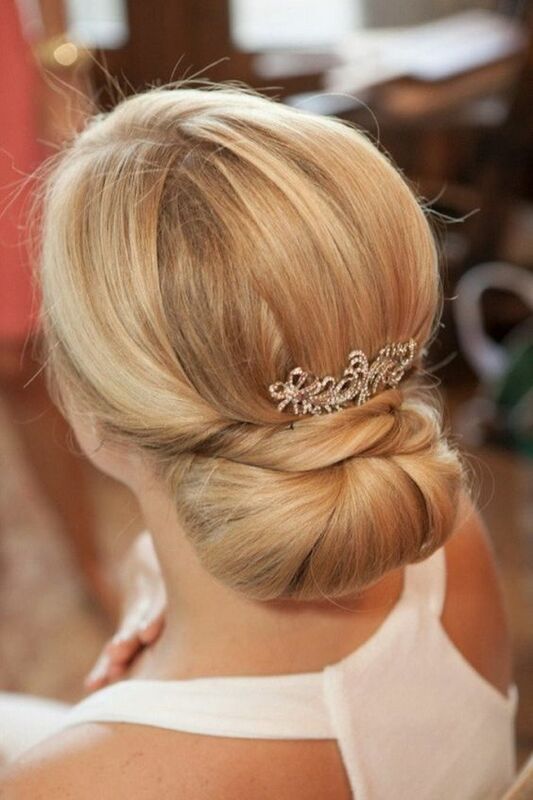 Tightly tied hair is paired with a big bubble bun on the crown of the head. This twisted chignon on the low neck area is accessorized with a jeweled headband, and is perfect for all hair lengths. 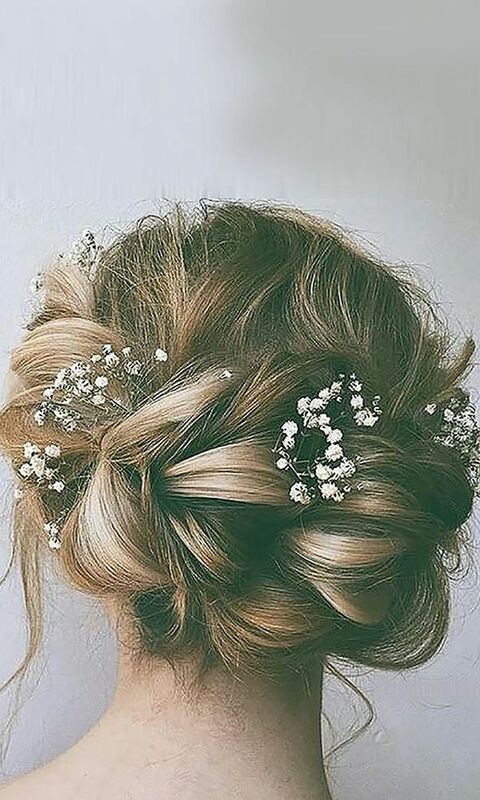 This mixed braided updo gives a rustic feel that is complimented wonderfully by the baby breath flowers in the waves of golden hair. 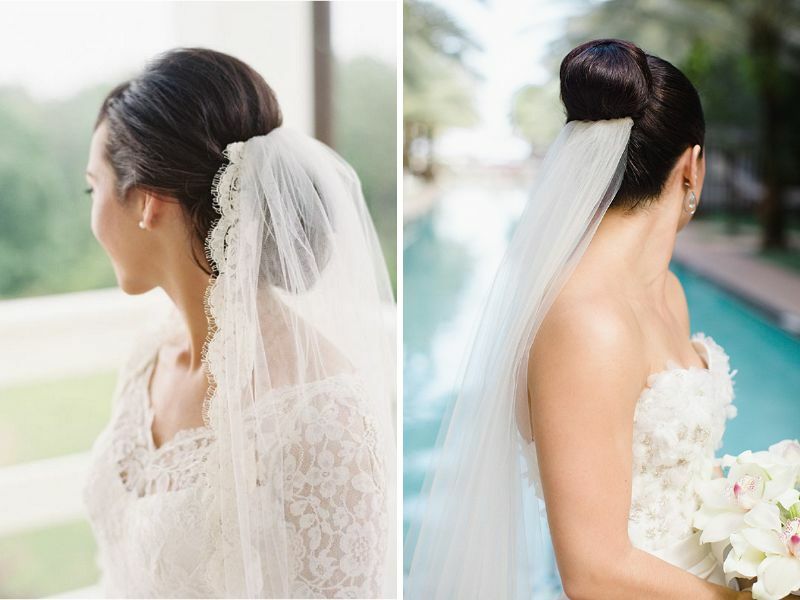 A traditional bride who wants a veil can try any high or low bun. Veils can be worn on the top of the bun as well as under it. Sassy hair updos are quite trendy, and for brides who want simplicity and style, this is the best option. A slight bouffant with side sweeps can dramatically improve the look of a rolled-up bun. This one is a wonderful combination of a modern and slightly traditional look. Twists from the front are sweeping back to the twisted low bun to make you a gorgeous bride. 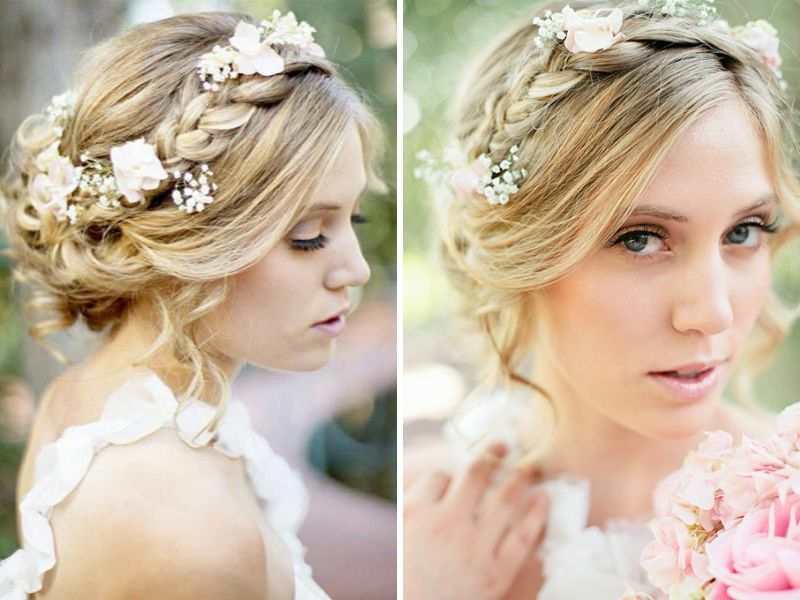 This wedding updo utilizes many braids, perfect for ffashion-forward brides who want a standout style. 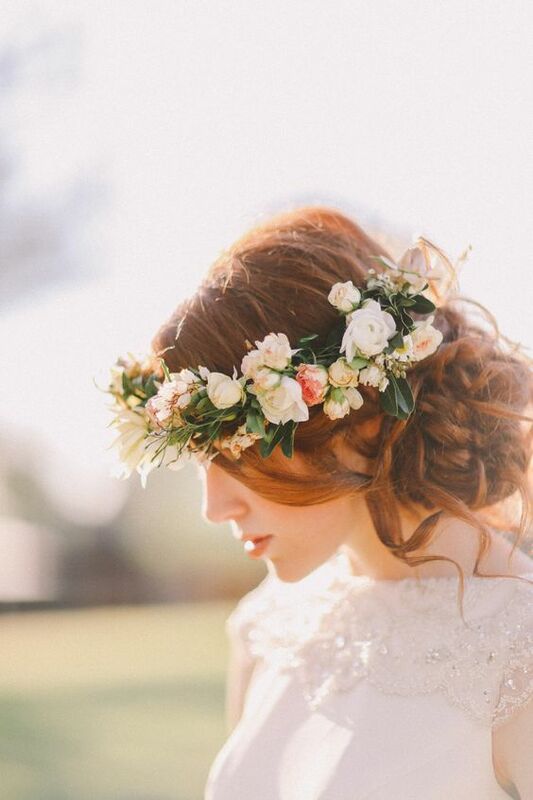 This hair updo is perfect for a boho bride’s garden wedding. Stunning wavy locks adorn the messy side bun. Top of the head is embellished with a romantic flower crown. 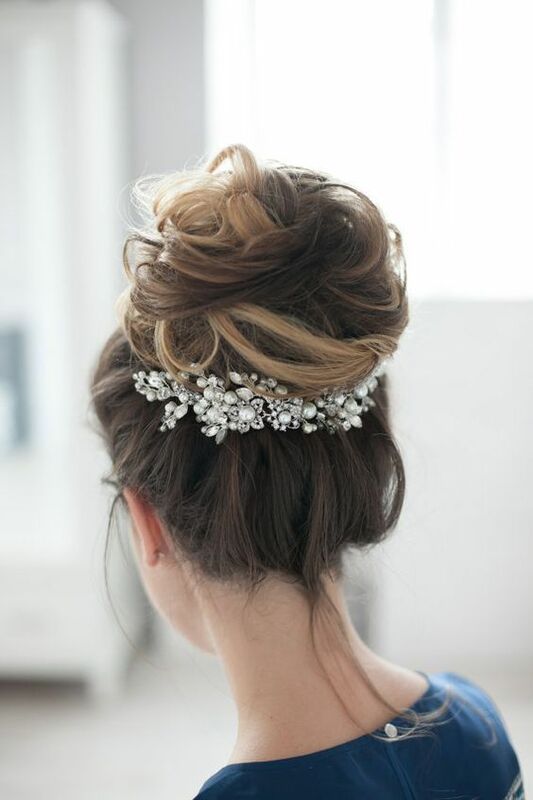 Perfect for short to long hair, this high messy bun with loose wavy locks gives the bride a gorgeous look. The front bangs and organza flower hair clip accentuate it even more. This simple bun is also one of the most stunning. Loosely tied hair is paired with a low bun on the nape of the neck, accentuated by a glitzy headband. This tightly-tied high bun is beautifully elevated with ivory pearls of various sizes gives a glamorous look to the bride. The hairstyle is perfect for evening ceremony. This updo, classiest of all on our list, is a simply tied low bun with a vintage inspired jeweled headband to add more beauty. Looking for the best straight hairstyles for weddings? Doesn’t matter whether you have short or long hair, this collection will provide ideas for all. 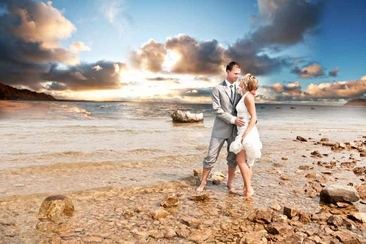 Couples don’t need to travel to exotic places for a picturesque beach wedding. A beach wedding in Michigan can provide the same clear waters, blue skies and stunning setting for great wedding.